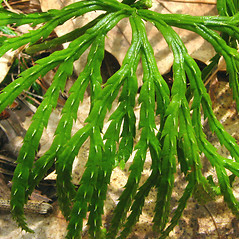 Southern ground-cedar is the most common ground-cedar in New England, and it is often used for decoration in wreaths. 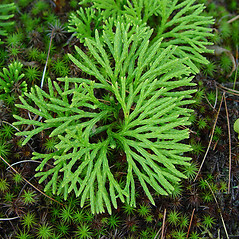 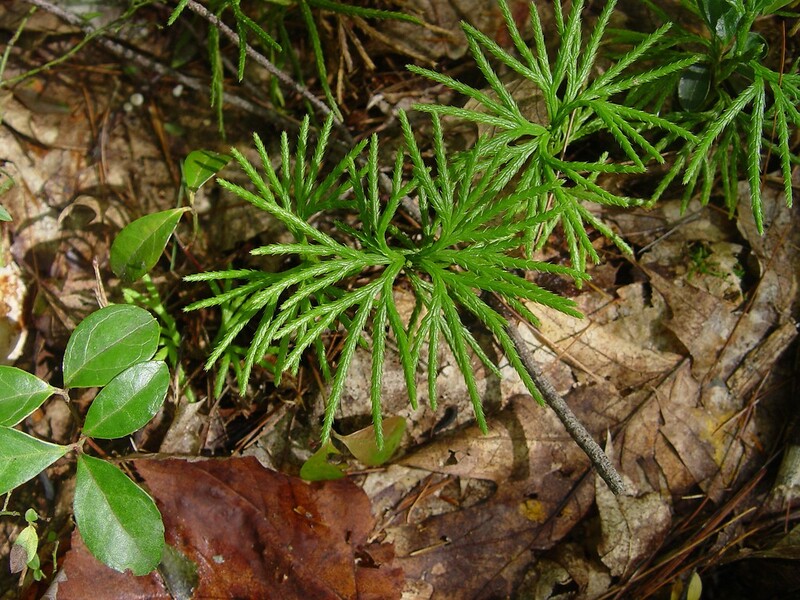 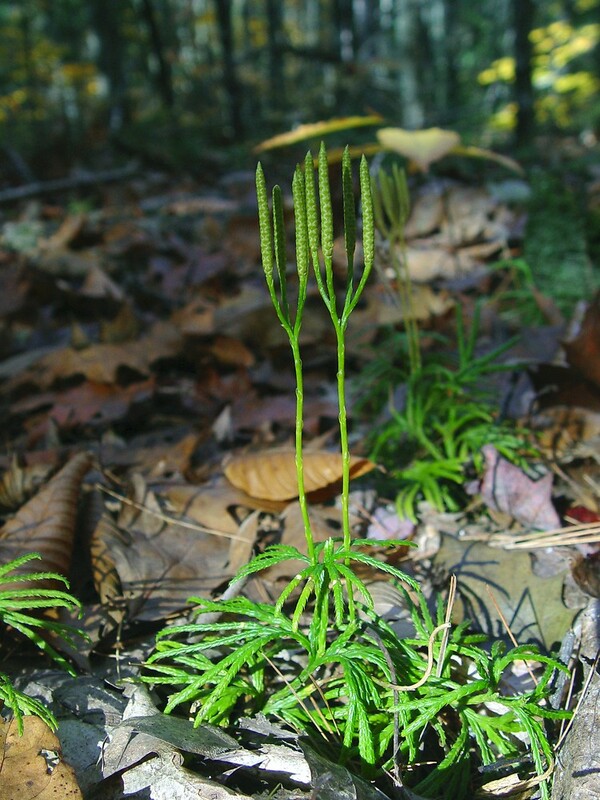 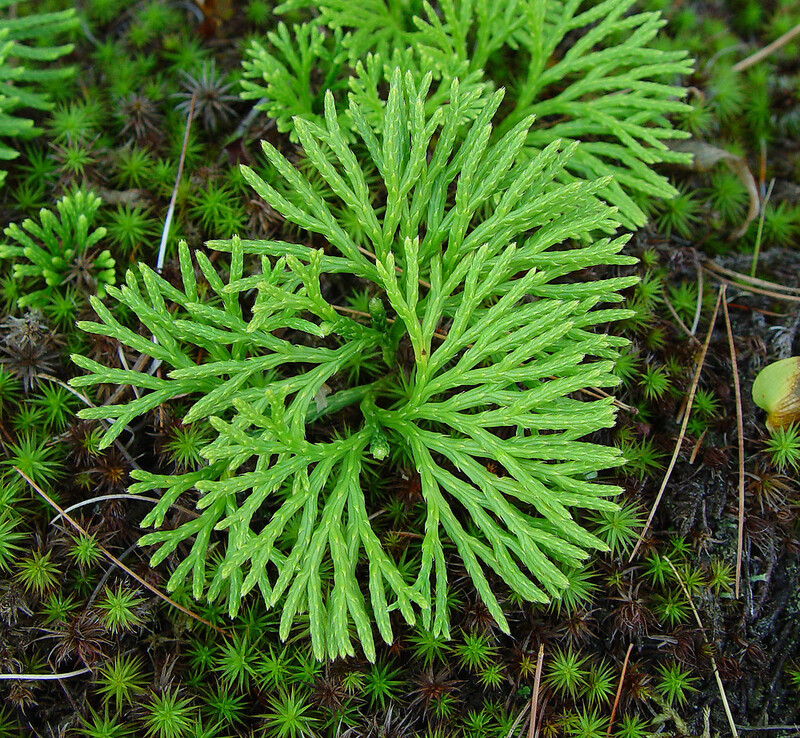 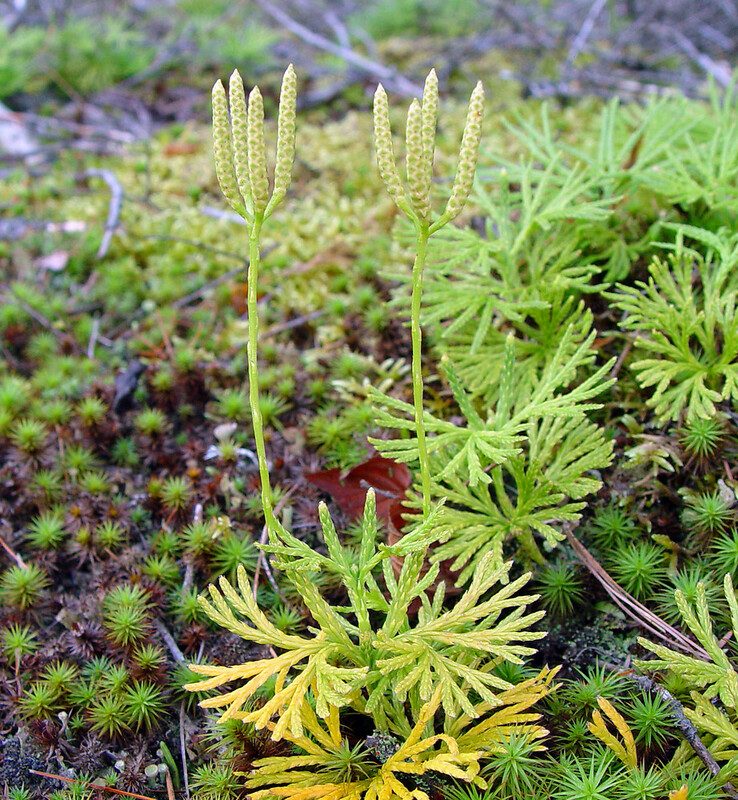 Another common name for this species is 'fan clubmoss,' which nicely describes the branches that are arranged in fan-like sprays. 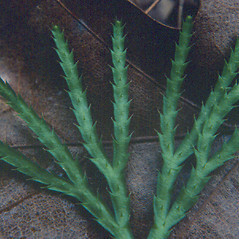 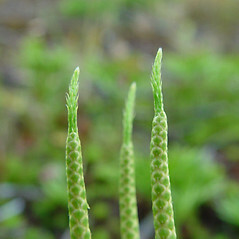 lateral branches of upright shoots with winter bud constrictions and strobili mostly 10-25 mm tall, borne on very slender stalks that become stramineous prior to the release of the spores (vs. D. digitatum, with lateral branches of upright shoots lacking winter bud constrictions and strobili mostly 20-40 mm long, borne on relatively thicker stalks that remain green until after spore release). 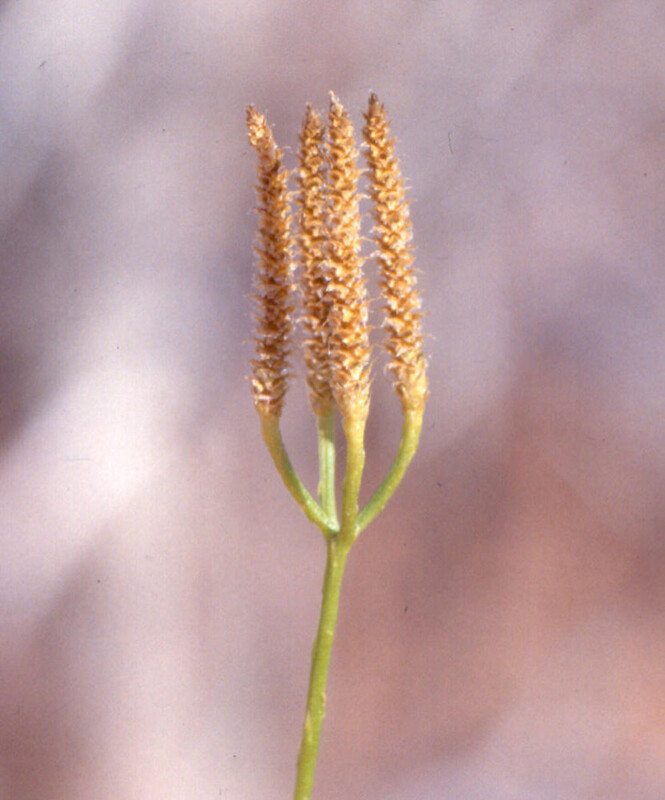 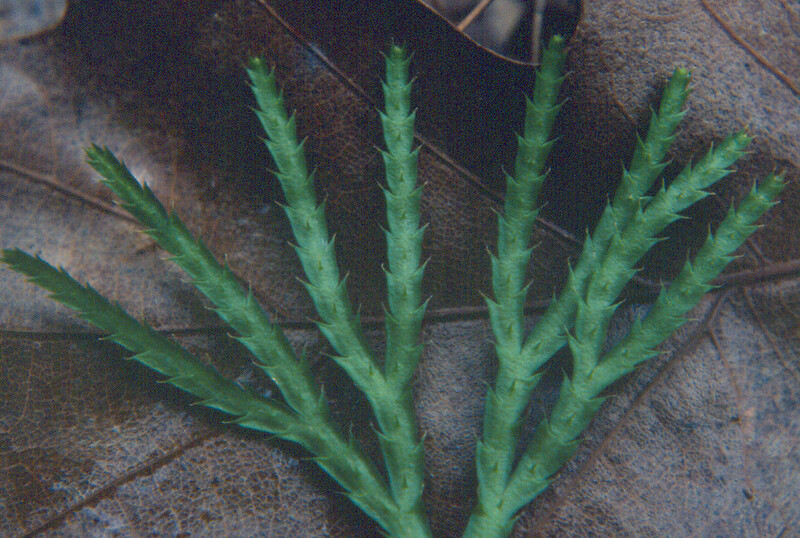 branches square in cross-section, as wide as 2 mm, with winter bud constrictions, and horizontal shoot buried deeper than 5 cm (vs. D. digitatum, with branches rectangular in cross-section, 2 mm wide or wider, usually without winter bud constrictions, and horizontal shoots at or near the surface). 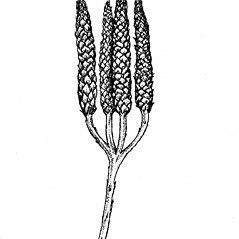 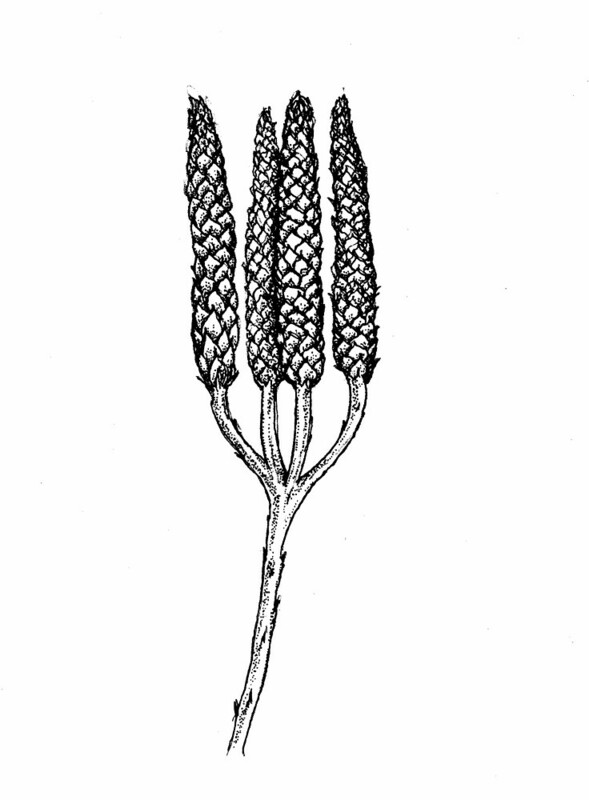 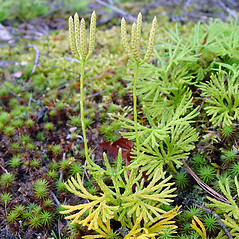 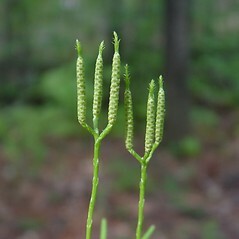 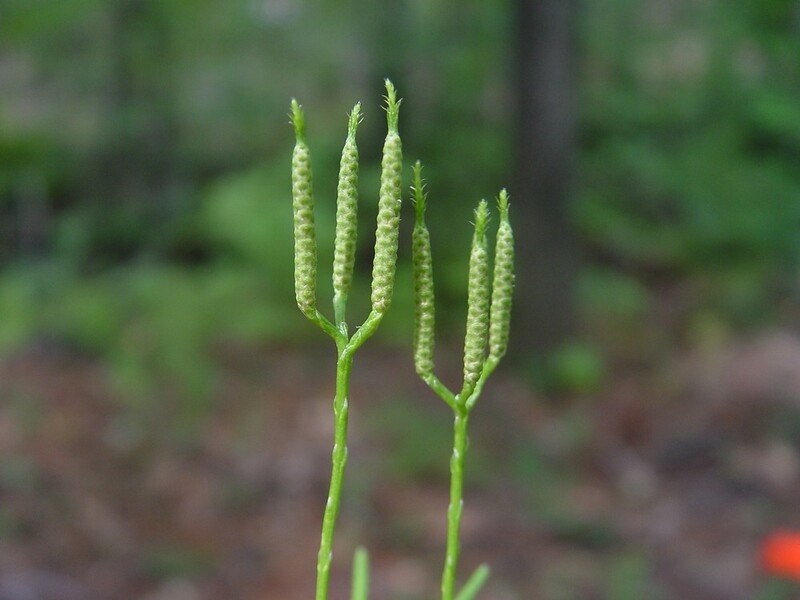 Lycopodium complanatum L. var. 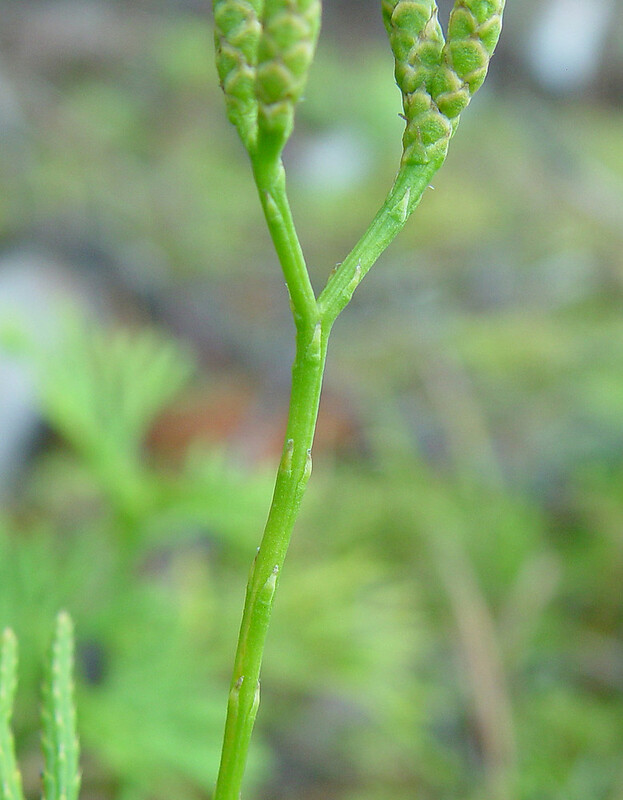 flabelliforme Fern. 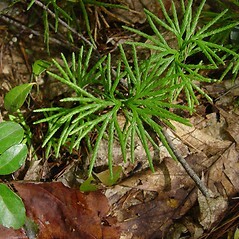 southern ground-cedar. 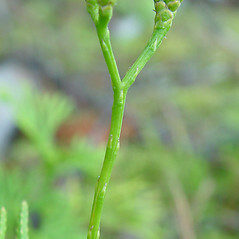 Diphasium flabelliforme (Fern.) 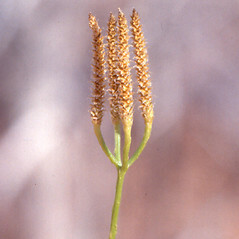 Blanch. 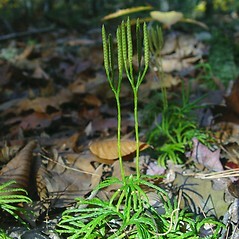 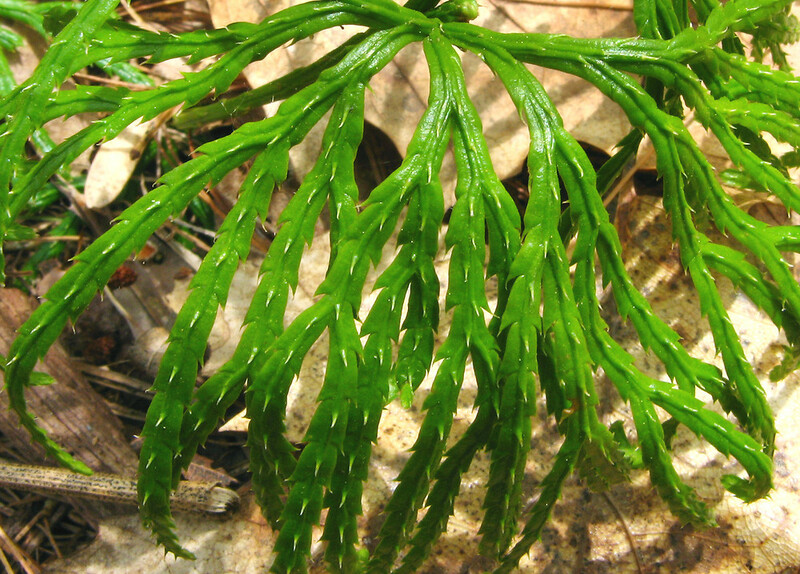 ; Lycopodium complanatum L. var. 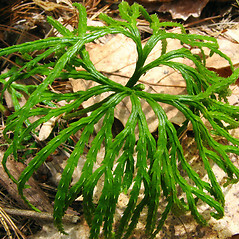 flabelliforme Fern. 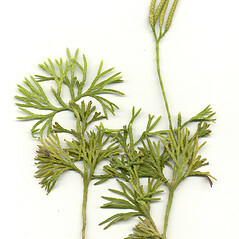 ; L. digitatum Dill. 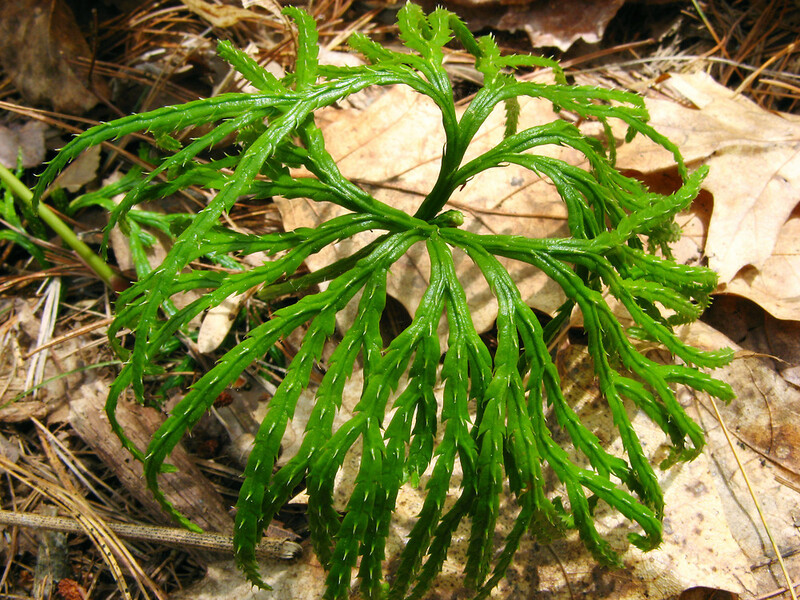 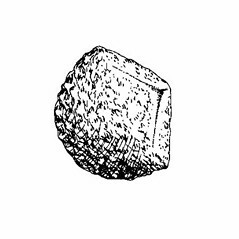 ex A. Braun; L. flabelliforme (Fern.) 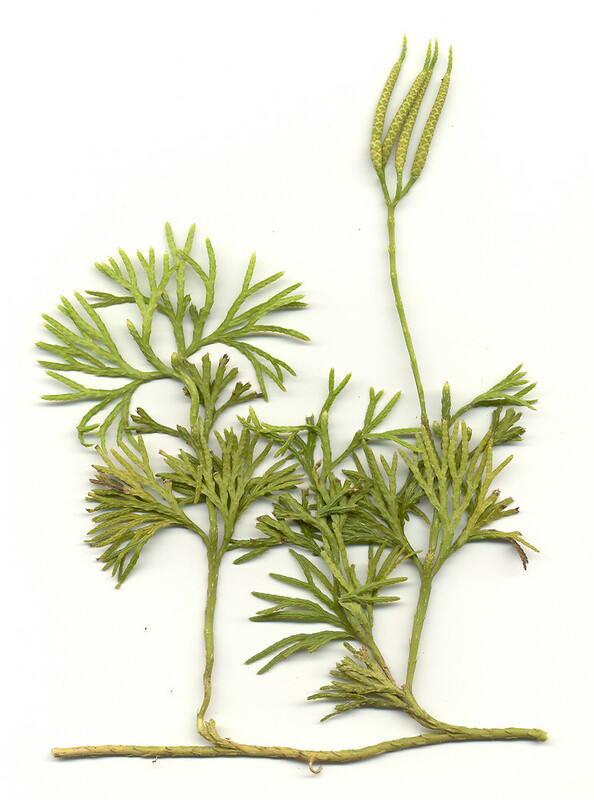 Blanch. 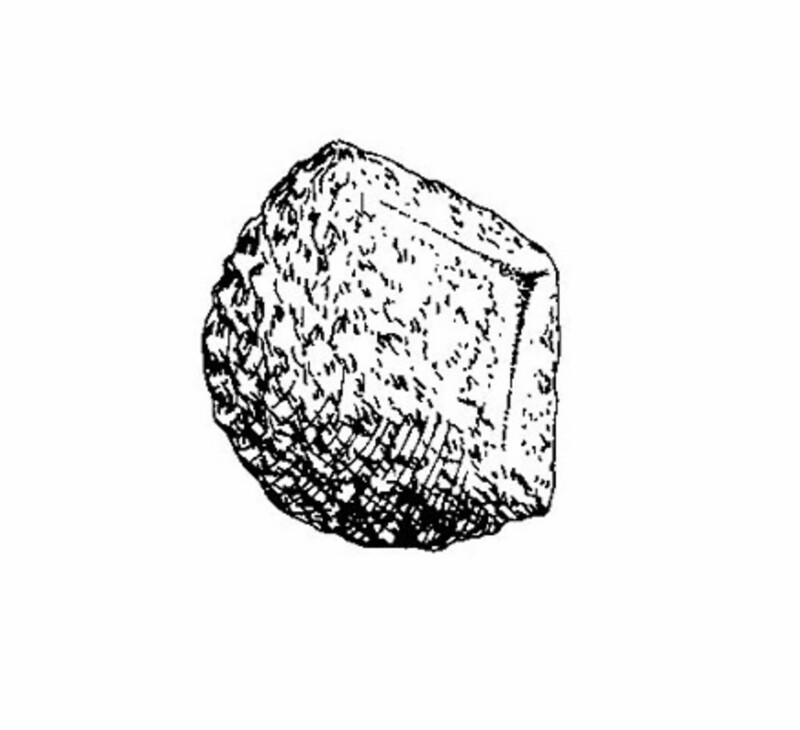 • CT, MA, ME, NH, RI, VT; throughout. 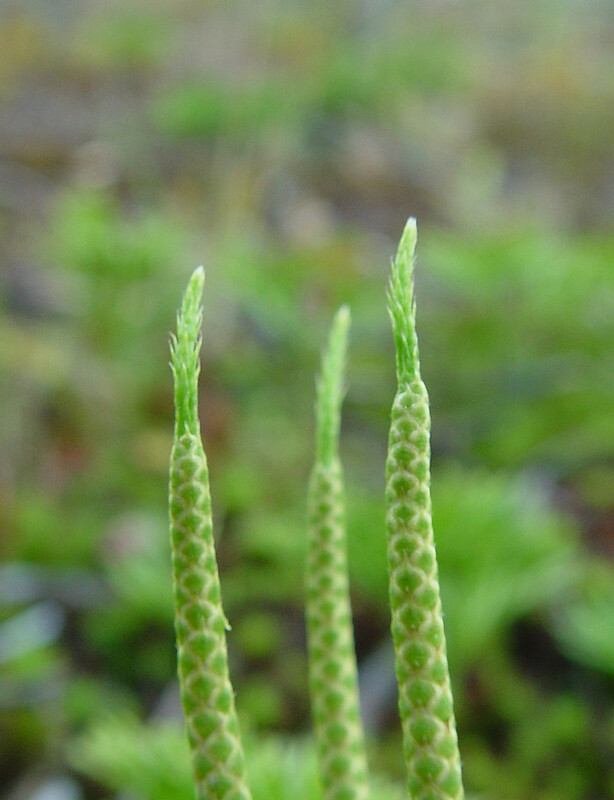 Upland forests, borders, and fields.